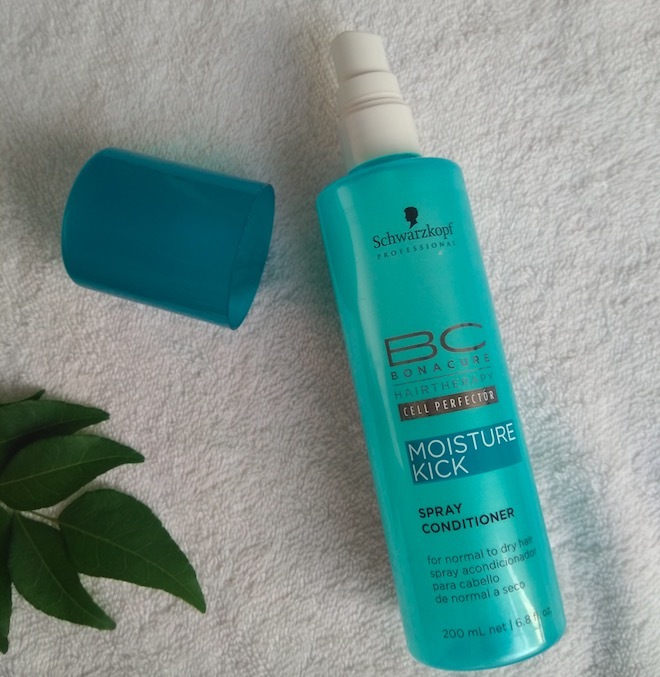 Hey everyone, today I’m reviewing the Schwarzkopf BC Moisture Kick Spray Conditioner. I have a very thick, curly hair that are extremely frizzy and rough. 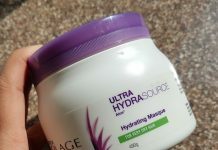 I’m always on the lookout for the hair care products that can add extra moisture to my dry and dull hair. I really liked Schwarzkopf products like, BC Repair Rescue Shampoo and Conditioner that I’ve used for 3-4 years after I first time got my hair rebonded (chemically straightened). So, when my hair stylist recommended this spray conditioner to me I bought it immediately (not only 1 but 2 bottles because of discounted price at that time). 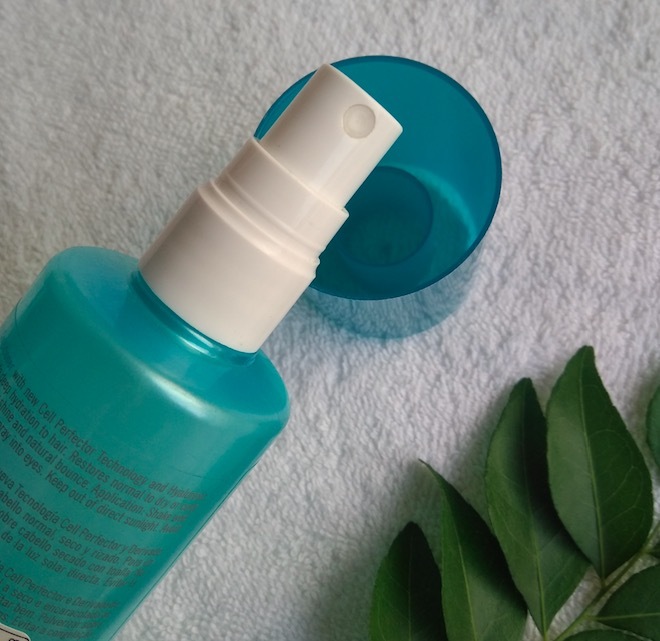 Packaging: The spray conditioner comes in a tinted blue bottle with a spray nozzle and wide cap that protects the nozzle. The important product related information is mentioned on the bottle. Overall, the packaging is convenient & hygienic to use and you can easily carry it along without any fear of leakage. 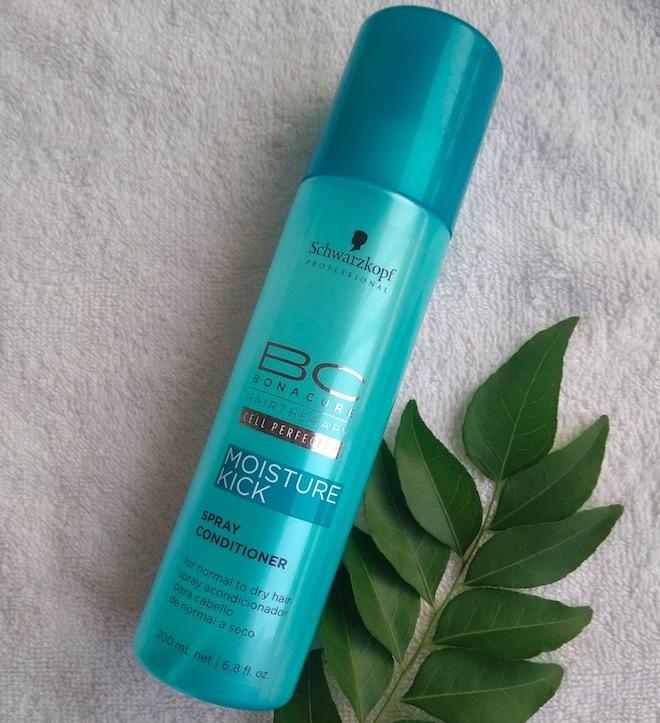 Price & Availability: The price of the Schwarzkopf BC Moisture Kick Spray Conditioner is Rs.800 for 200ml. It can be bought from reputed salons and also at leading online shopping websites like Purplle.com, Amazon.in, etc. My Experience: The spray conditioner comes in a clear liquid form and smells exactly like the Repair Rescue Shampoo from the same brand. I generally use this conditioner on my damp hair. I usually spritz a few sprays on my hair and spread it using my fingers. 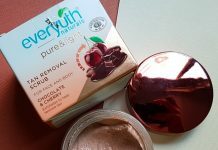 It feels very light on the hair and doesn’t leave any residue behind. It does tame frizz for some time but on my super thick, unruly hair, the after results doesn’t last longer than 1 hour. 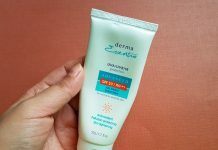 I’ve used it many times and gone through the first bottle already but unfortunately, it did nothing for my super frizzy hair. The spray conditioner comes in an easy to use spray bottle which is very hygienic to use and you can easily carry it along while traveling. A lightweight spray that doesn’t make hair sticky or greasy. Doesn’t leave any residue behind. You can use it over chemically straightened or colored hair. Suitable to use for people with fine slightly dry hair. Not very effective in controlling the frizz. 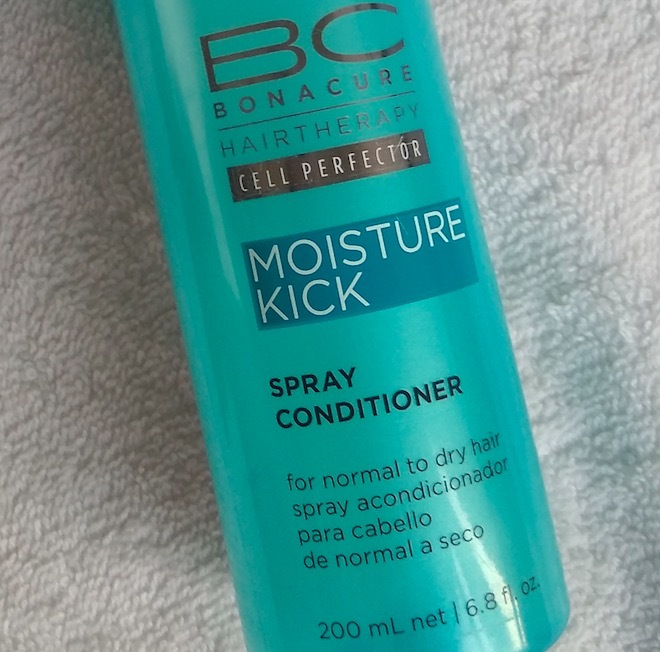 Doesn’t provide enough moisture to my thick, dry curly hair. Expensive, I didn’t find it a value for money product. It doesn’t add any shine to my hair. Not suitable for rough, thick or super dry hair. I don’t like it smell. 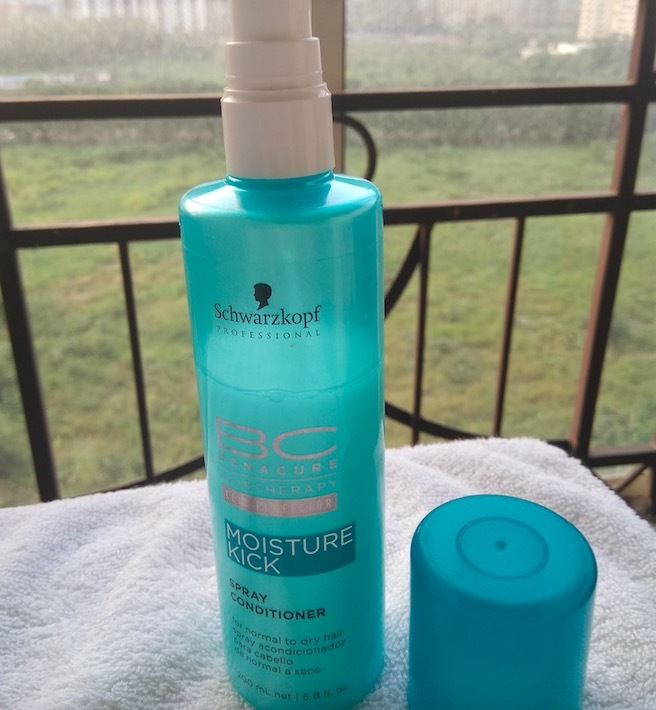 Overall, I didn't like Schwarzkopf BC Moisture Kick Spray Conditioner. It was a complete waste of money as it did not stand up to its claims. I'll neither use it in future nor recommend it to people with very dry hair. Yep.. I do the feel the same, this product doesn’t have much effect as expected.It doesn’t tame my hair at all.Results can be seen only for an hour or so….not worthy to buy. 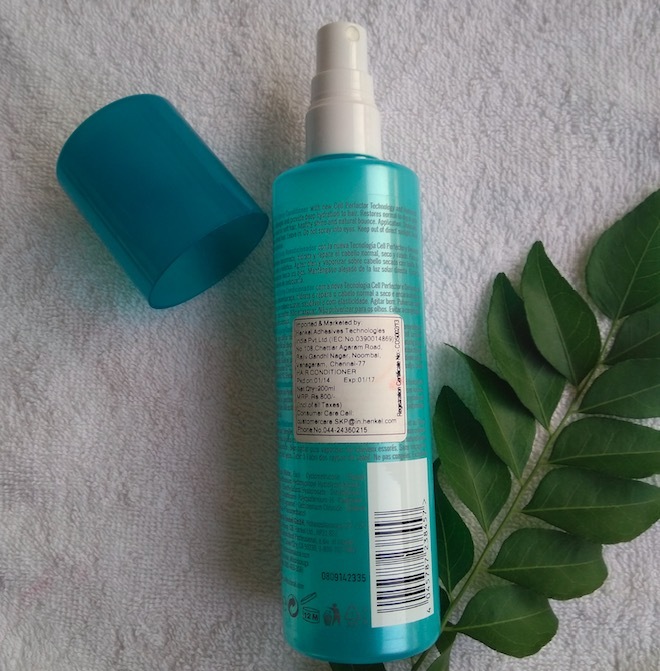 But I really love other Schwarzkopf products like repair rescure shampoo and conditioner which worked very well….